States participating in the Western Interstate Commission for Higher Education (WICHE) are eligible for the Western Undergraduate Exchange program (WUE). 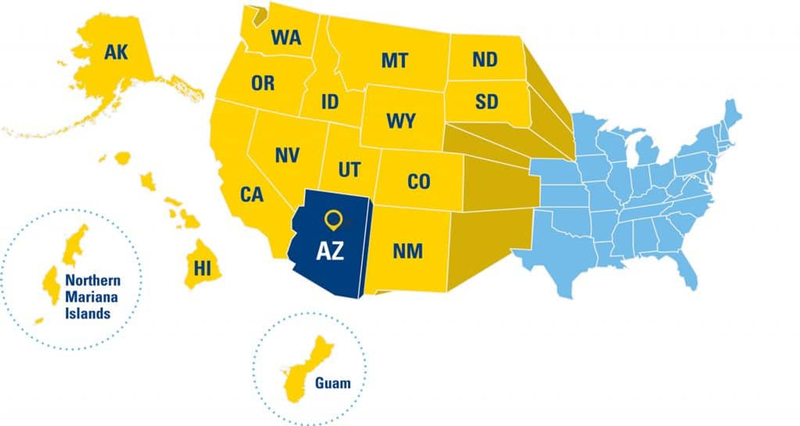 This program enables students in any of the 14 highlighted states below to sign up for the WUE and benefit by saving around 40% of out-of-state tuition at Northern Arizona University. This translates to around $9,000 in savings for out of state school costs each year if the student achieves a certain grade point average, and is eligible for the program.